Mr. Datta is currently ISG’s IT Service Delivery Strategy Service Line lead and brings expertise in assessing, developing and executing strategies for ISG's clients Applications Development and Maintenance (ADM) and IT Infrastructure. 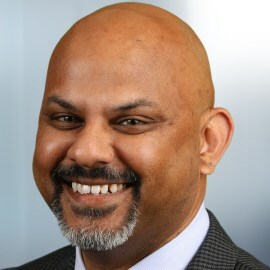 With over 15 years of experience and over a 40 engagements, Rajib is among ISG's most accomplished experts in the evaluation of complex global strategies. Rajib’s experience includes strategy development, alternative analysis, contract negotiations, financial development and evaluation, organizational & operating model design, vendor governance, transformation management, and the management of large outsourcing agreements.